This is a stadium that we pass when we go to town. I haven't been there yet but if I get a chance I would like to drop in and check it out sometime. Wikipedia says this stadium has an artificial turf field, called Xtreme Turf, and has been manufactured and installed by Act Global. 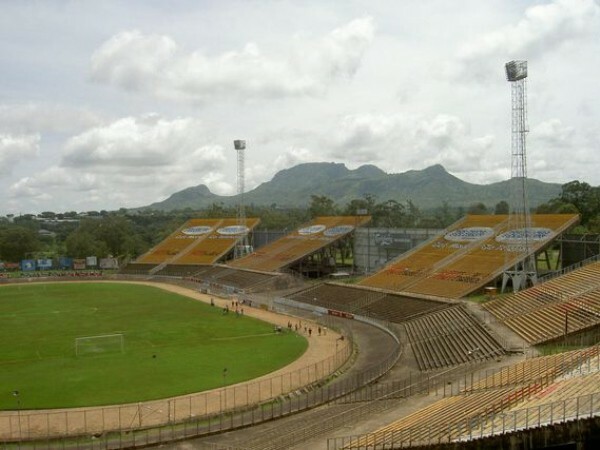 This is one of the biggest stadiums in Malawi. This is a very old stadium that was built back in colonial era. It supposedly holds 50,000 people but on an interesting side note, I have been told that one of those bleachers has been condemned by the government and they don't let anyone sit on it.